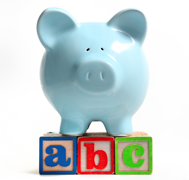 Home → Bad Credit Borrowing → ABCs of Credit – Do You Actually Have Good Credit? Do you have good credit? The answer may not be as simple as you think. Credit cards close to, at, or over the limit. Late payments can last for six years on your credit report. So do collection items, even if you pay them off. Strong history of relationships with creditors. Low balances on credit cards. Limited credit inquiries. Applying for too many credit products can actually harm your score. If you’re not sure what your credit score is, you can check your score for free once per year from Equifax Canada or TransUnion Canada. Repaying all bills on time. Repaying all bills, when possible, in full. Even if you can’t pay the whole thing at once, it’s better to pay more than the minimum payment. Keeping low balances on your credit cards. Not applying for too many new credit products. Working to pay any outstanding bills or create a payment plan. At Prudent Financial, we offer personal loans that can help consolidate debt and rebuild credit. We’ll help you make a plan for returning to good credit, or even turning good credit into great credit. Contact us today for a free consultation. Call 1-888-852-7647 or visit www.prudentfinancial.net.